Recently, the NYTimes published two wonderful pieces sharing howÂ important reading has always been to President Obama. In the interview the President mentions giving his older daughter, Malia, a Kindle full of books he thinks she might enjoy and learn from. My first thought was “I want that book list!” Well that book list doesn’t seem to be available, though we can hope they might share it someday. But, there are other lists! WhiteHouse.gov has a few (though for how long, who knows.) And a quick web search turns up many, many more. Get Ready to Carve Out 89 Hours for President Obamaâ€™s Essential Reads -Â Wired Magazine’s November 2016 list of 10 books that shaped President Obama. President Obamaâ€™s Reading List – A NYTimes follow up with authors mentioned in the other NYTimes articles. 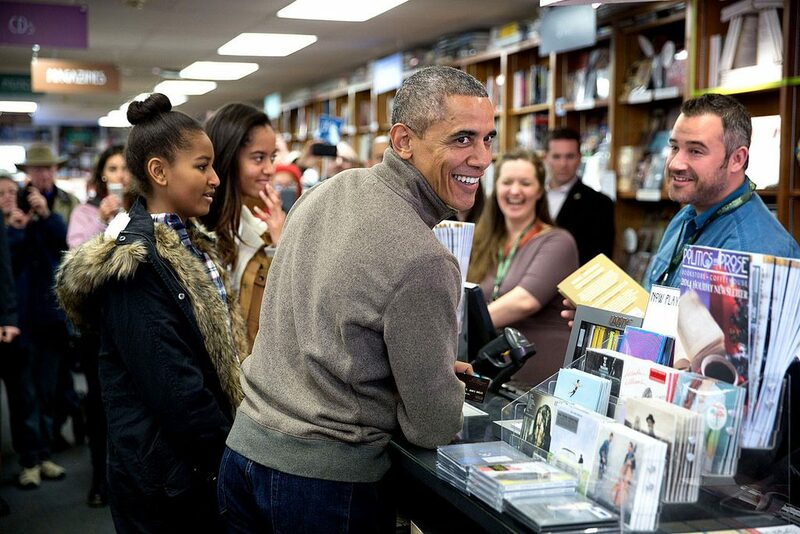 Barack Obamaâ€Šâ€”â€ŠReader-in-Chief – To top it off, Electric Lit has the mother lode of Obama reading lists going back to 2009. Eight wonderful years of good reads and oh so much more. Thank you President Obama. Next Next post: New York State Children’s Choice Book Award is Back!